Proudly Serving: Big Pool, Boonsboro, Cavetown, Chewsville, Clear Spring, Fairplay, Funkstown, Hagerstown, Hancock, Keedysville, Maugansville, Middletown, Rohrersville, Saint James, Sharpsburg, Smithsburg, State Line, Williamsport. 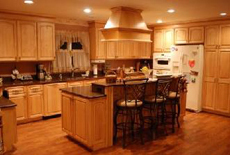 We are dedicated to superior quality throughout the remodeling process as well as being professional in our customer service. Please fill out the following form and someone from Duane Kinna Home Improvements, will get in touch with you.